Roseanne Montillo has dug up information about diverse real-world elements that influenced Mary Shelley in the creation of her seminal novel Frankenstein, joined the parts into a cohesive whole and energized them with intelligence, insight and wit, breathing new life into our appreciation of that great tale. She shows also the monster-rich environment that influenced MS, a world that was very well populated with mad scientists, mythical beasts, grave robbers, an actual evil stepmother, and people close to her who had monstrous leanings of their own, long before she added her creation to the list. Your first experience of Frankenstein probably looked like this. Boris Karloff’s interpretation of the never-named “wretched creature” of the novel, gave him literal baby-steps and a child-like yearning for love and acceptance. Dramatizations of the character that Mary Wollstonecraft Shelley wrote rarely show him possessing the sort of intellectual curiosity and power with which she imbued him. Hollywood is definitely good at keeping things simple and it did so here. 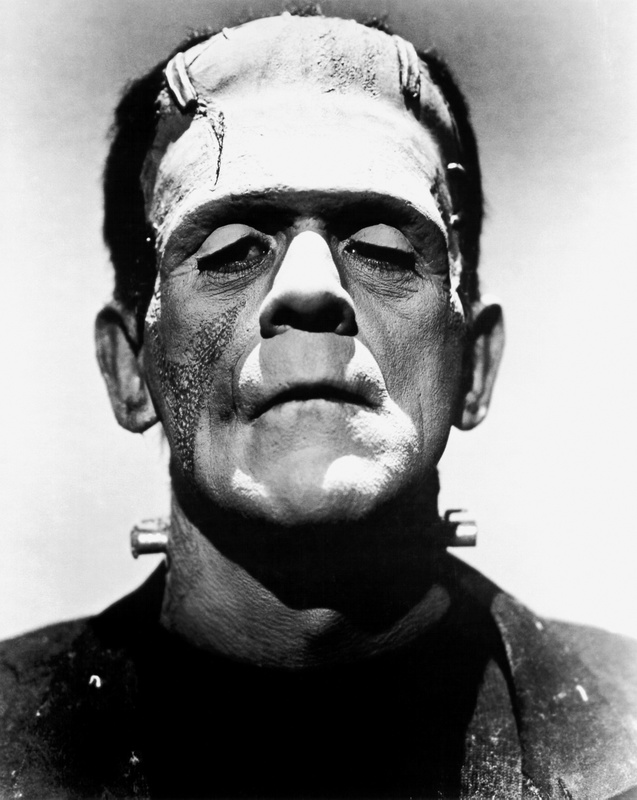 Most people think of Frankenstein’s monster as a big, inarticulate lug, who got a raw deal out of life the second time around and succumbed to an angry, pitchfork and torch-wielding mob, like two guys carrying a gay-pride banner at a Tea Party convention. It was not quite that way in the book. I ought to be thy Adam, but I am rather the fallen angel, whom thou drivest from joy for no misdeed. Everywhere I see bliss, from which I alone am irrevocably excluded. I was benevolent and good; misery made me a fiend. Make me happy, and I shall again be virtuous. The monster’s plea to his creator shows him to be something other than the grunting fiend of cinema, more of an articulate fiend. I heartily recommend reading the core material here, before, during or after you take on Montillo’s exposition. In a way, it is like putting on special glasses and seeing the 3d contours of an image when all that one had perceived previously was strictly two dimensional. Or watching a pop-up videos version of a familiar song. You will learn a lot reading Montillo’s book. The book tells two tales. The first is Mary Shelley’s personal history. The second is a portrait of the world in which she grew up, the external influences on her, and how they contributed elements to her novel. There is, obviously, overlap. Mary Godwin was the daughter of William Godwin, a leading writer and philosopher, and Mary Wollstonecraft, the author of A Vindication of the Rights of Woman (1792), an early manifesto on gender equality. Clearly Mary got pretty high-end brain DNA from both parents. Unfortunately, Mary’s mother died ten days after introducing her to the world. Mary grew up in an intellectually lively environment. As dad was a big cheese in the intellectual world, gatherings at the Godwin manse tended toward the illustrious. Thomas Paine read from his famous work in her home, as did many luminaries of the time, including a well-opiated Coleridge, who read his Rime of the Ancient Mariner while young Mary secretly listened in. This piece of that poem found its way into that little girl’s book. Dad remarried four years after his wife died, to Mary Jane Clairmont. Mary’s new stepmother was straight from central casting for any of several tales by the Brothers Grimm. One result of this, some years on, was an attempt to keep Mary away from her father after she hit adolescence, and was a threat to absorb too much of daddy’s attention. MJ saw to it that Mary was banished for a stretch to a distant seaport, residing with a family that was only barely among Godwin’s friends. Mary had opportunities while there to hear many a fish story from local seamen. Her relationship with poet Percy Bysshe Shelley began when she was in her mid-teens. Shelley was married at the time, which was awkward, but that did not prevent the young couple from cementing their relationship. 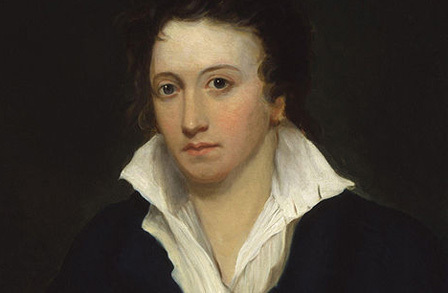 Shelley found Mary to be a true intellectual equal, which more than made up for her average looks. Scandal pursued them, but the young couple seemed not to care. A circle formed, Mary, Shelley, Mary’s half-sister Claire, who was smitten with PBS, and later, Lord Byron. It got complicated. There are bits from Mary’s relationships that contributed material to the book. As was common at the time, artists and scientists were not the divided clans they tend to be today. The greatest scientists of the age wrote poetry. And Shelley was renowned at his college for the many dangerous experiments he had running in his room. Shelley taught Mary, who had been home-schooled, a lot about science. They had several children together, only one of whom survived. It may be that one element in her story was a desire to bring back a dead child. Montillo take us through the travels of the pair, and later the group, showing the places they stayed, the routes they took, their stops along the way and the stories Mary is likely to have accumulated at various locations on their journey. Yes, there really was a guy named Frankenstein. Another local alchemist sort had been pursued by angry townspeople after some imagined outrage. Professor Montillo also offers considerable history and color of the time. The era in which Mary Godwin grew up was the Enlightenment. Science, unchained from the restrictions of superstition, was on the move. Daring scientific experiments were being performed across Europe. There were things in the air at that time that had never been wafting about before. For example, there was a fellow named Galvani, who not only developed a particularly useful battery, but wanted to use his invention to re-animate the newly dead. In fact there was a lot of medical training at the time that required a steady supply of fresh material. As England restricted access to the needed product to the newly executed, that created a considerable market for materials from other sources, giving rise to the growth of so-called Resurrectionists, although flesh-miners might have been a more fitting term. Competition became pretty steep among gangs of grave robbers. The trade was so lucrative that some of the nearly departed were sped on their way by greedy practitioners. Montillo also goes into some of the history of alchemy, as Mary makes plentiful reference to practitioners of that art in her book. There is a particularly curious description of how to create a homunculus. (no mention of blond hair and a tan ) Montillo also brings in the obvious connection between Mary’s creation and folkloric notions of golems. One of the fun bits in the book is a description of a London emporium that sought to capitalize on the growing popular interest in the possible uses of electricity. The Celestial Bed and the Temple of Health was begun by a medical quack interested in the potential benefits of electric stimulation. But the place cloaked its true nature under the guise of providing medical care. I suppose The Celestial Bed did offer plenty of sparks, but the heavenly electricity generated within its walls was produced at least as much by its patrons as by galvanic devices. The greatest benefit of The Lady and her Monsters is that it lays out many of the elements that Mary was or might have been exposed to in her few years on earth before she took pen in hand to write her contribution to a group ghost-story contest. There is indeed some interesting material offered on Mary’s life after the 1818 publication, most particularly her decision, when revising some years later, to alter Victor’s mode from Promethean arrogance to tool of the gods, reflecting her own denial of responsibility for the events of her life. But other material having to do with the time after publication was not as interesting as that concerning events that inspired the book. 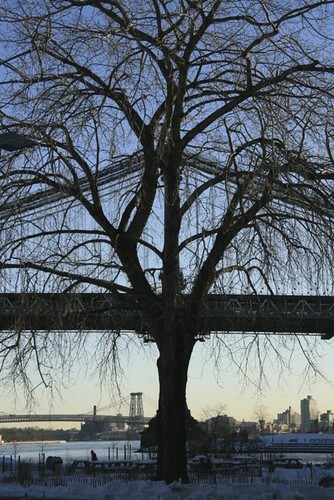 Her subsequent life was not a happy one, and I am not sure how much we gain by learning that. Nevertheless, The Lady and her Monsters is a delightful book, both informative and entertaining. It does a high-voltage job of bringing the story of how Mary made her monster to life. This very nice bio of Mary Shelley, from The Poetry Foundation, has considerable information about her other works. A nifty web-site on Resurrectionists. Can you dig it?